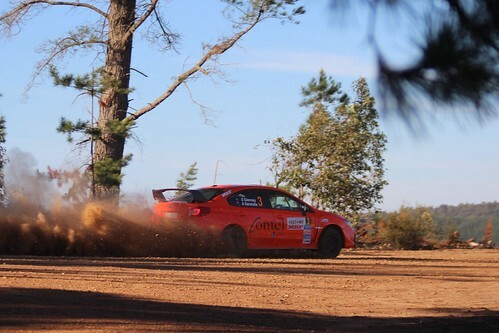 Tankformers’ Eli Evans and Ben Searcy completed a clean sweep of the Make Smoking History Forest Rally in Western Australia, winning both heats and 15 of 19 stages to claim maximum points in round two of the CAMS Australian Rally Championship (ARC). Evans’ victory at WA’s Forest Rally, his third time on the top step at this event, handed him a slim five-point lead in the championship, ahead of Steve Glenney in second and Harry Bates in third. Evans’ last ARC round win was at the Scouts’ Rally in South Australia in October 2015, with Glen Weston in the co-driver’s seat. Evans and Weston went on to take out the CAMS Australian Rally Championship that year. Contel Communications Steve Glenney produced a strong drive to claim second outright in only his second appearance at the event, and his first in 12 years. Subaru do Motorsport’s Molly Taylor and Malcolm Read improved throughout the weekend to grab third place.